Editorial: Constitutional or electoral urgency? One basic problem of Decree 62/2019 is that it falls short of being the blanket assault on corruption which its slapdash presentation might suggest. What could be more of a no-brainer than decreeing that the illgotten gains from corruption and drug-trafficking go to the public purse for use on behalf of honest citizens? Yet the legal technicalities surrounding President Mauricio Macri’s emergency decree to that effect may begin with its curious name – the literal translation of “extinction of domain” does not work in English because “eminent domain” is a rather different kettle of fish, as the concept justifying the state confiscation with compensation of perfectly legal private property for some higher public purpose such as building or expanding a road – but they certainly do not end there. The timing of this decree for asset recovery from illegal gains (hereinafter to be referred to as Decree 62/2019) is already curious, coming on the eve of extraordinary sessions of Congress – surely the whole point of extraordinary sessions is to circumvent the need for such emergency legislation, only justified in the absence of Congress. The whole concept of urgency is somewhat baffling. Looking at a real emergency today, Venezuela, nobody could deny that somebody proclaiming himself president in the middle of the street is constitutionally irregular to say the least, but equally nobody could deny that Venezuela is in an acute crisis. But where is the urgency here when the appropriate legislation is being processed in Congress while the corrupt (when not protected by parliamentary privilege) are all facing trial, even if both the legislative and judicial branches are moving at a distinctly more sedate pace than the Executive? 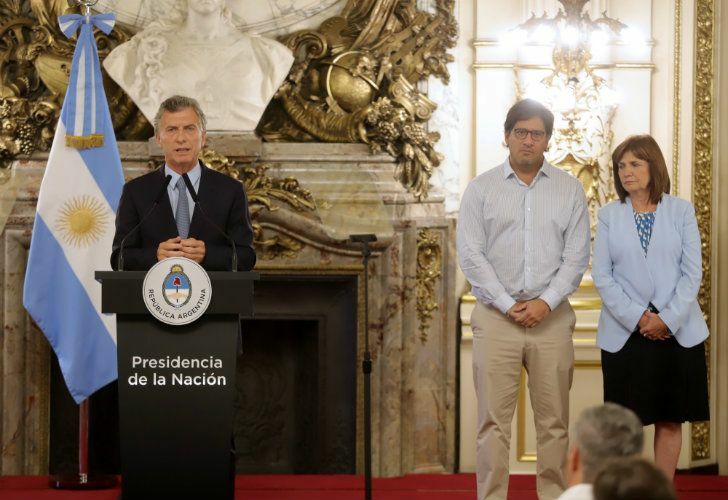 If Macri’s aim were to pressure rather than override Congress, he would be more within his rights – Argentina’s current Criminal Code provisions for such asset recovery leave much to be desired, while the tardy parliamentary progress since the mid-2016 introduction of the bill (eventually approved by both chambers but now languishing in the Lower House because of Senate amendments) probably owes more to Kirchnerite stonewalling than due procedure. But whatever the flaws of Argentina’s political class and judiciary, Macri is trampling on the separation of powers at both ends with Decree 62/2019 – not only bypassing the legislative branch just ahead of its extraordinary sessions but also regulating an item of the Criminal Code, which is the exclusive prerogative of the Judiciary (also threatened by the bill’s creation of a special prosecutor). One basic problem of Decree 62/2019 is that it falls short of being the blanket assault on corruption which its slapdash presentation might suggest. Neither tax evasion nor such financial irregularities as illegal currency exchange fall within its domain and nor is the problem of dummy ownership of misallocated assets (which can also be resold into wholly innocent hands) properly tackled. 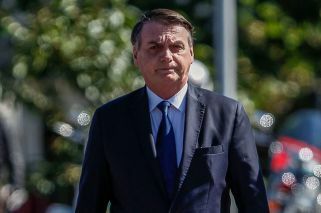 Yet the two most direct obstacles to Decree 62/2019 being constitutionally kosher are its inversion of the burden of proof and its retroactive application, as some observers have pointed out this week. Inverting the burden of proof, by obliging the accused to demonstrate the legality of their assets rather than the prosecutor their illegality overrides a fundamental premise of Argentine jurisprudence – innocent until proven guilty. This should not mean that those accused of corruption be allowed a free rein of their assets until final conviction nor that the death of the defendant or the statute of limitations should magically whitewash such assets – what it does mean is that more work should go into making Decree 62/2019 compatible with this fundamental principle of justice. There are more serious problems with the retroactive application – and not only because umpteen laws have been ruled unconstitutional on those grounds. Backdating the decree 20 years looks highly arbitrary since it seems to target the Kirchnerite presidencies during most of those years (indeed so sloppy is the wording of this decree that it does not clarify if it also covers the next 20 years) – a cynic might also note in passing that the bulk of the Macri business dynasty’s fortune fuelled by state contracts was made in the last three decades of the past century preceding this period. Yet whatever the criticisms, one should never forget that the perfect is the enemy of the good, nor throw out the baby with the bathwater by discontinuing the war on corruption because of this decree’s flaws – instead Macri should take this decree back to the shop, to Congress or even the people in October. Presumably his real aim amid the economic gloom. Electoral grandstanding is part of the political game but not at the expense of the Constitution.